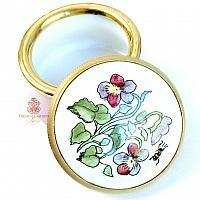 Hand Painted Enamel Keepsake box made in England by Staffordshire Enamels. Made with the same precise care and fine luxury quality tradition their Georgian forefathers had, these small enamel boxes originated in Bilston in 1741. 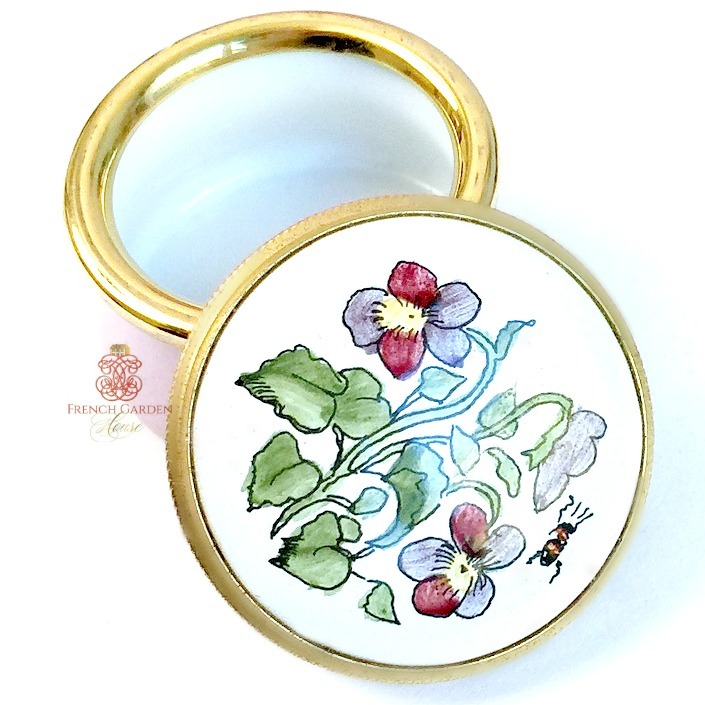 Miniature enamel boxes were made to carry snuff, sweets, and beauty spots. An avidly desired gift in the 18th century, given from one to another, courting couples gifted them as a token of lasting affection. Would be such a charming way to protect baby's first tooth. The box is copper with the enamel hand applied and baked on, heirloom quality for future generations. 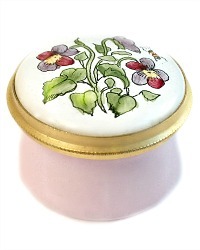 This design with the feminine and romantic violets are so sweet. From a collector, how sweet is this? 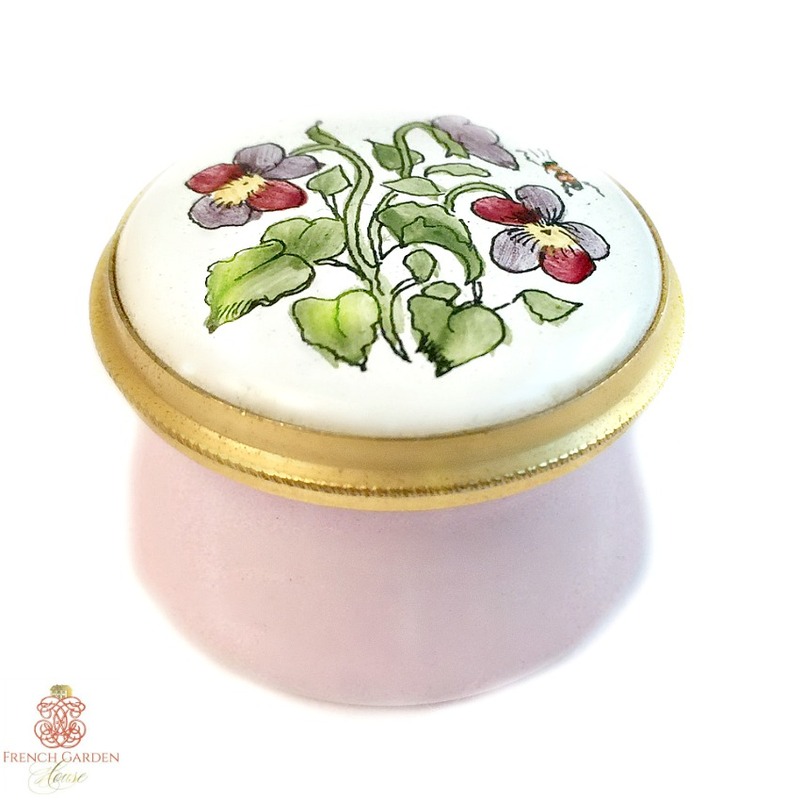 Inside, the surprise of another hand painted design, a little clutch of violets and the word "February" because the flowers of the month for February are Violets. Display this with your collection of Limoges boxes, or begin a collection of small boxes. They look amazing on a decorative tray! This is very petite, measures 1-1/8" x 3/4".